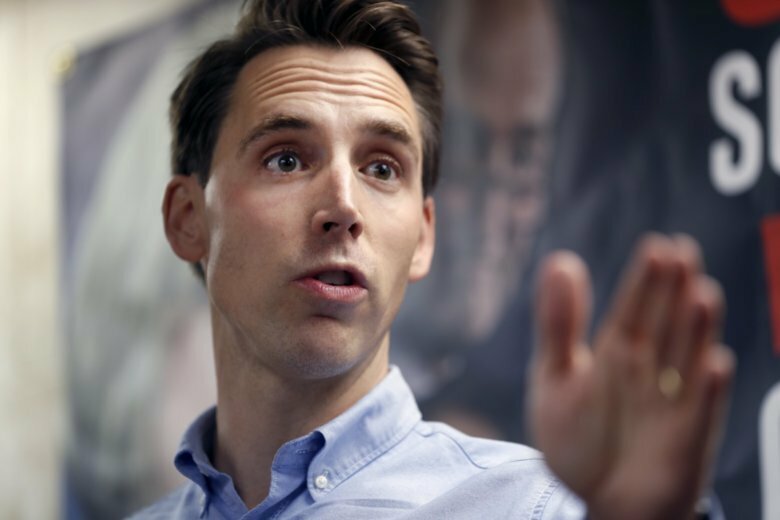 Hawley is facing incumbent Democrat Claire McCaskill in a race that could help determine control of the Senate. She’s not invited to chapel, which is mandatory for full-time students and open to the public. At issue is an Internal Revenue Service provision known as the Johnson Amendment, which prohibits churches and other religious organizations from candidate endorsements. Doing so could cost them their tax-exempt status and a fine. Hawley favors repealing the amendment. He told conservative pastors in August that he hoped the IRS would “fine a pastor” to create a legal challenge. During a campaign stop Thursday in St. Charles, Hawley said the amendment “punishes pastors and it punishes churches.” He said pastors have delivered some of the most important speeches in American history, citing Martin Luther King Jr. as an example. “Thank goodness nobody silenced him from the pulpit,” Hawley said. HLGU president Anthony Allen was traveling Friday and unavailable for comment, the university said. Earlier this week, Allen told Word & Way, a Baptist publication, he was not concerned that inviting one candidate and not the other would put the university at odds with IRS guidelines.